Now is a good time for us to pause and take stock of how prepared we are in the event that Berkeley falls victim to a natural disaster. Events such as wildfires, earthquakes and droughts can strike the West Coast, and it’s critical that individuals know what to do in these emergency situations. Berkeley received a Hazard Mitigation Grant of $1.2 million from the Federal Emergency Management Agency, or FEMA, and the California Governor’s Office of Emergency Services to retrofit certain types of unstable buildings in order to reduce the risk of damage caused by earthquakes. The UC Regents have sued the Federal Emergency Management Agency for cutting millions in fire prevention funding previously allocated to the East Bay Hills. 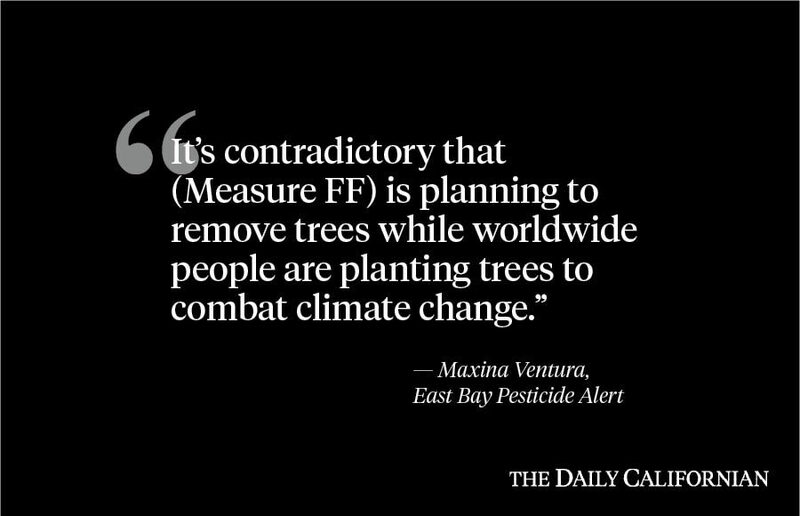 California’s recent widespread death of trees — affecting 102 million trees since 2010 — is raising environmental concerns among fire and ecology experts.